Some people think that if they want to root their phone, they need certain root application that can be used to root their phone. Then, they may also think that they need PC to do the rooting process. However, there are some root applications that can be used in all types of android. So, what is the type of your android? If your android is Android 6.0 Marshmallow, you are able to root your android by using Kingo Root. 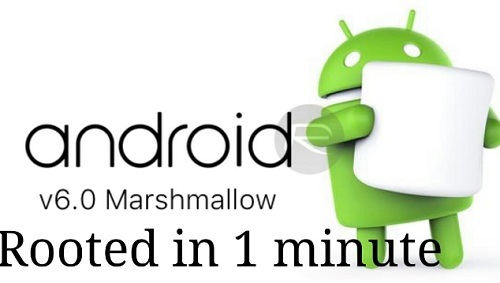 Android Marshmallow is the 6th primary version of the android operating system. This android version was released in October 2015. This android can be rooted by using KingoRoot. This application provides users with easy and safe rooting methods particularly for Samsung devices which are running Android 6.0/ 6.0.1 Marshmallow with processors of ARM64. KingoRoot can root your Samsung devices including Samsung Galaxy S7, Galaxy S7 edge, Galaxy S6 and S6 edge, Galaxy S5, Galaxy S5, Galaxy Note 5, Note 5 Duos and Note Edge. Now, how to root Android 6.0/6.0.1 Marshmallow by using KingoRoot? It is very easy. But, before you root your android, make sure that you prepare several things including internet connection, device powered ON and 50% battery level and also allow your device from installation of apps from unknown sources. How to allow your device? You can do that by going to Settings, Security and then Unknown Sources. Then, if you have prepared those things, now you are ready to root your android. What do we have to do firstly? Firstly, you need to download KingoRoot.apk. You have to know that downloading this app is free. You are able to download it by going to the website of KingoRoot at www.kingoapp.com. Then, after you download the app, it will be installed on your device. If you did not check “Unknown Sources” in Settings > Security, then during installation, you will get a prompt “Install blocked”, stating that “For security, your phone is set to block installation of apps gained from unknown sources.” You just need to follow the instructions on your phone and then install Kingo Root on your device, then permit installs from “Unknown Sources”. After that, launch Kingo Root app on your device and then begin rooting. The reason why you need to use Kingo Root is because this app is very user-friendly and easy to use. To begin the process of rooting, click on “One Click Root”. Now, you need to wait the process for a few seconds until the results screen comes up. If your rooting process is succeed, you will get a message which says “Root Succeeded”. If your rooting process is failed, you are able to try it again and again. Then, if it is still failed to root your device using Kingo Root app, you are able to use Kingo Root PC version. By using Kingo Root PC version, the success rate of rooting process is higher due to technical reasons. If you root your device using PC, it means that you need USB cable to connect your android to the PC. Related Post "Root Android 6.0 without PC"